One of the things I love about digital media is their capacity to bridge geographical divides, establishing new connections between people who would be unlikely to cross paths in the offline world. So I was delighted to be able to offer my students here at the University of Washington in Seattle an opportunity to put questions directly to Members of the European Parliament. The second half of my fellowship at the University of Washington has been racing by! Here are a few of the things that have been keeping me busy during the last week. I travelled down to Olympia to speak with a group of government officials who are working on digital media at the state, local and city level. 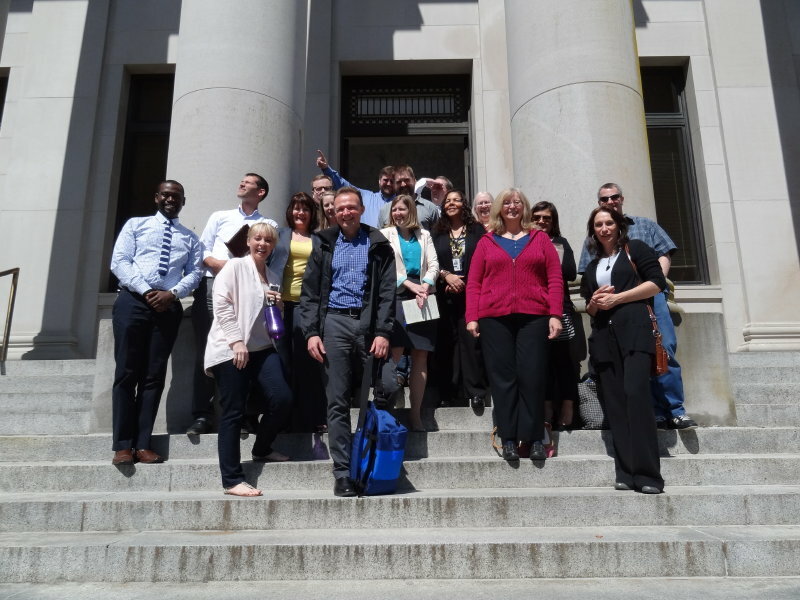 Just like the European Commission, Washington State has a social media network that allows people from different government departments to exchange experiences.